It must be frustrating for Palm Pre users to see that Apple has killed their access to the iTunes sync feature again. It is the third time users will lose access to the iTunes media library from their Pres, despite Pam's efforts to stay on top of the situation. Apple tired to stop Palm from re-enabling the iTunes sync feature for the Pre by complaining to the USB regulatory group, which ruled in favor of Apple. 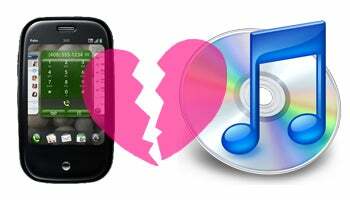 However Palm ignored the USB group's warning and released WebOS 1.2.1 in October, re-enabling iTunes sync. It becomes quite clear that Apple is holding up to its word when it said that it wouldn't allow other unauthorized devices (read Palm Pre) to sync with iTunes. And it means it: this is the third time Apple block the Pre from its jukebox software.